The dance floor was full all night! I can't express enough how amazing Laurie was as our DJ for our wedding in September. Laurie was the first and only DJ we called. She made us laugh, she asked about me and my husband, she made us feel incredibly comfortable with her. She coordinated perfectly with our wedding coordinator and the night could not have gone smoother. The music was perfect the entire night and we didn't want it to end! The dance floor was full the entire night and it truly was a spectacular night. I would recommend Laurie without a doubt. She helped make our wedding the most perfect day and I am so thankful for having her on our special day. These people know what they are doing. Laurie DJ'd our wedding but did so much more than just that. She was with us during the planning process from the get go. She was interested and immersed in our ideas and themes and helped us to explore how to make them even better. She was so enthusiastic and helpful that it felt like planning a great big party with a good friend. Her personal touch, while never escaping the boundaries of professionalism, was arguably the best part. We definitely recommend this service to anyone as we had zero issues, complications, or reservation after working with them. They are the best......period! Platinum Party Events did an amazing job as DJ at our wedding reception. All of our requested songs were played and Platinum Party Events did a great job of picking fun, upbeat songs to fill the remainder of our reception. 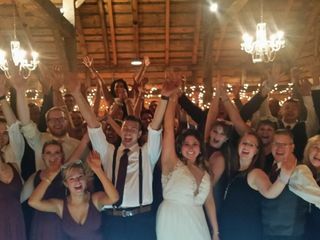 We never felt like there was any “dead time” and the dancefloor was filled for the majority of our reception. They handed out beaded necklaces to everyone on the dancefloor, which reenergized a lot of our younger cousins and put a big smile on everyone’s faces. I can’t say enough how awesome it was to have so many people constantly on the dancefloor. 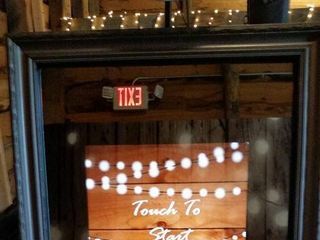 We have been to other wedding receptions where the dancefloor was empty and it was a little awkward, but our reception was the complete opposite. In the months before our reception, we were worried about working our requested songs into the event timeline, but Laurie made herself available for phone calls before the reception to confirm pronunciations, songs, etc. And the Platinum Party Events website was very easy to navigate and enter in bridal party names, song choices, etc. You often hear of people talking about things going wrong at their wedding reception, but we wouldn’t have changed a single thing. Platinum Party Events was an important part of our wedding reception and helped everything go smoothly from the introductions to the first dance to the cake cutting. 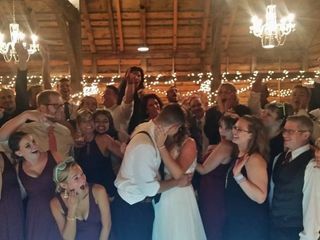 My wife and I chose Platinum Party Events for our wedding on September 2nd, and it was one of the best choices we made for our wedding. Laurie was an expert at reading the room and keeping everyone moving, and during the planning process she was nothing but helpful, and easy to contact. I would highly recommend choosing them, to take some stress out of the process. Incredible, professional and enthusiastic. Laurie truly loves what she does and the DJ and photooth services that Platinum Party Events DJ & Photobooth offer are no less than excellent. We will forever remember our wedding night because of what Laurie and Tom provided for us! Laurie & Thomas provided the most memorable night of our lives. They were there to support every want, need and dream we had envisioned our wedding to be. They were flexible, professional and just downright amazing! There isn’t a better duo that I would recommend to make your wedding everything you dreamed of and so much more! They are the best! Laurie and Tom were AMAZING! We couldn’t have asked for more professional and caring people. They did exactly what we asked and made our day absolutely perfect. From our ceremony and officiating down to every last song! We can’t thank you enough for everything you have done! It felt like you were part of our family and we are so thankful. Platinum Party Events was fantastic!!!! They're attention to detail and playing everything I wanted and nothing I didn't was excellent. Laurie was SO nice and extremely helpful. Their online event planner made it very easy for me to arrange and organize my music. I highly recommend Platinum Party Events. Planning a wedding can be very stressful but with all Laurie's help the music was one thing I did not have to worry about. Thank you so much!!! Laurie was our DJ for my wedding in May and she was wonderful! Before the wedding she periodically checked in to see if we had any questions and tell us what needed to be done. Right before the wedding, we spoke and she laid out every detail. The day of the wedding she kept the party going all night. It was truly a wonderful night! Platinum Party's Magic Mirror Photo Booth was such a hit at our wedding!! We loved the idea and the pictures came out so great!! 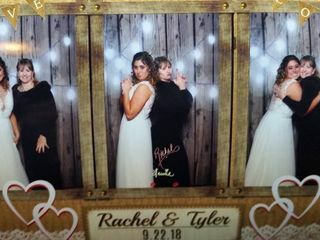 We liked that it was different than the traditional Photo Booth and the idea is so unique! Thomas and Laurie were really great to work with, we 100% recommend them!! Thank you so much, you were great!!! 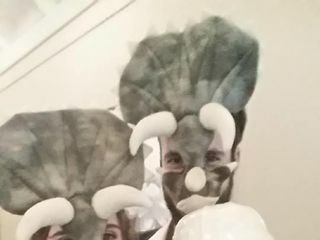 Thomas and Laurie are the nicest people and provided the most unique photo booth that we've ever seen for our wedding! My husband and I had the pleasure of meeting Thomas and Laurie at a bridal show and we fell in love with their Magic Mirror Photo Booth. It was so unique and different from the ordinary photo booth. We loved the fact that you can see yourself in the mirror and that way you can see how you look for the picture. We also loved the fact that you could write on the mirror when you were done taking pictures that would print on the photos! Also unique was that 3 pictures printed out on one photo! The props that they provided too were really fun.Thomas and Laurie were very nice and accommodating to our needs. They made a one of a kind photo template for our wedding! Their Magic Mirror Photo Booth was a big hit at our wedding and I highly recommend Platinum Party Events for your wedding or any event! Platinum Party Events did an amazing job at our wedding. Laurie is so sweet and attentive. She took the time to meet with me and my husband , she explained everything and listen to what we wanted. She provided suggestions and is well informed on the details. We had a beautiful day! The decision to choose Platinum Party Events was an easy one, especially after talking with Laurie on the phone for the first time. We knew that we wanted a no-frills DJ experience for our wedding with a vendor that would listen to our requests but also be willing to improvise a bit; we got both with Platinum Party Events. Aside from a few songs that we knew we definitely did and did not want played, we didn’t have a set theme in mind; after meeting with us in person for about an hour and discussing the types of music we like and dislike, Laurie was able to come up with a perfect playlist for each event during our wedding. The end result was a great evening filled with memorable music that fit our personalities and tastes perfectly and kept everyone dancing and entertained the whole time. We got many compliments on how great the music was. We can’t recommend them enough. 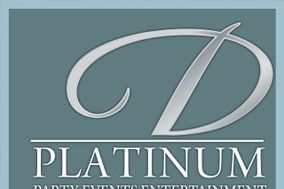 If you’re looking for a great, affordable DJ who will absolutely nail the music at your wedding, look no further than Platinum Party Events. Laurie and her husband, Tom are so wonderful at what they do! We booked Laurie through a bridal show and it was a package deal, DJ & Photo Booth. From the day we signed the contract to the end of the wedding night, Laurie was professional, friendly and knowledgable. through-out the planning process, i had so many questions/concerns and Laurie always responded quickly and answered my concern. most importantly on the day of the event Laurie rocked the show. she kept my guest dancing all night long-I do not think anyone wanted to leave. on top of that, the Photo Booth was such a hit!! everyone is still talking about it. I couldn't say enough things about Laurie & Tom!!! we are so relieved the night went off went out a hitch and glad we had Laurie and Tom there!! Laurie and Thomas and their Magic Mirror Photobooth were the perfect addition to our wedding! They designed a hockey themed template for us since I grew up a Rangers fan and my husband is a huge Islanders fan. They brought so many hockey themed props as well as other wedding themed props! They remembered that my venue did not allow feather props and brought plenty of others instead. They emailed me three different templates to choose from! They even helped us put together a photo guestbook for us with a scrapbook I bought! What a fun and memorable thing to have at our wedding with such great people running the booth. Everyone had an amazing time at our wedding and a lot of it had to do with Laurie and Thomas at Platinum Party Events. The ceremony music was perfectly timed and our guests enjoyed the pre-ceremony music while they were finding their seats. The transition from ceremony to cocktail hour was seamless and we really appreciated the professionalism that they exhibited in making sure everything was in place. We had a relatively short reception that was behind schedule due to our ceremony running late and despite that, Laurie was able to make up the time and did not make the day feel rushed. We had our first dance "on the clouds" which was a great way to add something "extra-special" to our special day, Everyone got up and danced and generally had an awesome time, especially when an unexpected guest arrived...the dark lord of the Sith himself...Darth Vader! It really was a wonderful surprise and a memorable addition to the wedding that Platinum Party Events organized. We can't say enough good things about Platinum Party Events but we would like to take the time to say "Thanks! And May the Force be with you always..."
My guests loved who we had as a DJ. She was keeping everyone involved down to the last minute. Laurie and Thomas were amazing from the first day we met with Laurie to the day of our wedding they were nothing less than wonderful . They worked with us to make sure we got everything we needed and wanted. They very quickly turned from our vendors into our friends. The magic mirror was a hit everyone loved it. Laurie's ceremony she prepared hit every aspect of our life and captured us perfectly. And the music had our guest up all night . I couldn't say one bad thing. I will Recommend platinum party events to everyone I know. Laurie was an absolutely amazing dj. She worked with us from day one. The day of she was pumped and ready to party just like I was. She got our guests up and moving. Played amazing music. I would recommend this team to everyone!!! Laurie made sure from day one to keep in contact often and was always pleasant to talk to. She and her husband Thomas also provided a state of the art photo booth that was a huge hit at our wedding! I was extremely pleased with Laurie officiating our wedding and she made sure we were at ease even through the ceremony. We filled out a questionnaire a few weeks prior to the event and it was very detailed so she knew everything that we did and didn't want. If we had to do it all over again we would definitely choose Thomas and Laurie again! Platinum Party Events was absolutely phenomenal. I could not say enough wonderful things about Their services and neither could my guests. They still rave about what fantastic music Laurie played and how fun and upbeat she made our wedding. The photo booth was an added bonus but a definite must have! It is so unique and unlike any other photo booth there is. My husband and I were thrilled and would reccomend Platinum Party Events a million times over. I loved Laurie! She was so helpful and very professional. She had wonderful ideas on different options for my big day. She was very accommodating in making sure that if she didn't have A song I needed, she would do her best to get it. Was never needed however since her music selection was plentiful! A pleasant bonus was the fact that everytime we chatted, it was like talking with an old friend! I couldn't have asked for a more perfect DJ! 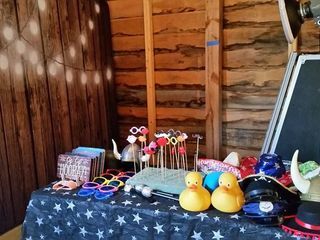 We hired Platinum Party events as our DJ & also rented the Photo Booth. Laurie was so helpful pre-wedding with answering all of our questions and even sending me some readings when i told her we were still working on picking out only a few weeks before the wedding. During the wedding she kept the energy up and had so many guests on our dance floor for the whole night. The Photo Booth was also a HUGE hit and the best part is you get an album of ALL the photo booth photos, which is great to look at after the wedding! Thank you so much DJ Platinum Party Events for making our wedding a memorable one!